Co-founder Ajay Singh's objective is to revive the dying carrier. Sources say the model will be an exact clone of the last time. The man behind Narendra's Modi's winning slogan - Aabki Baar Modi Sarkar - is preparing a spanking blue print to revive the haemorrhaging SpiceJet . 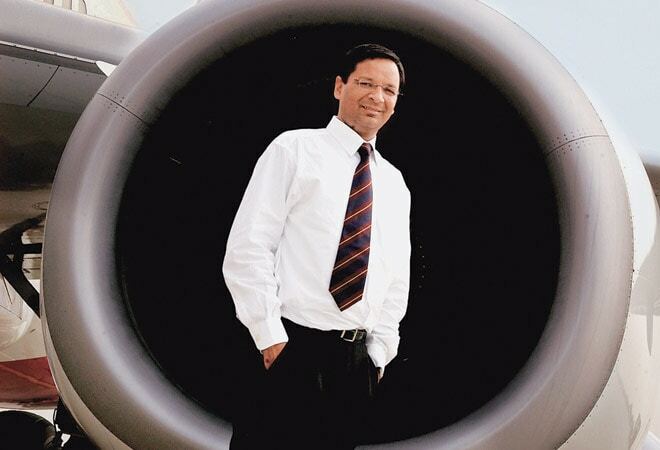 Ajay Singh's objective, as former co-promoter of SpiceJet, is to revive the dying carrier. The model will be an exact clone of the last time is what sources close to developments told MAIL TODAY. Singh, who retains 4.5 per cent in SpiceJet, aims to bump up his minority shareholding in phase 1. Singh's core team reckons that the entire process of diligence, funding and takeover of running the airline is still six weeks away. Singh, who helped set up the budget carrier in 2005, is in parallel in a dialogue with private equity investors. Last time round, he had roped in Wilbur Ross & Co.
Maran had among others purchased Wilbur Ross' stake when he entered the aviation business. But gross mismanagement and the unnecessary haste to acquire customers through rampant lowfare schemes destroyed the financial health of the company in next to no time. Singh will use the same model as last time-international private equity players in conjunction with him. There will be no domestic big-ticket investor in the frame. Sources also revealed that the architecture will not at any stage include an international carrier and will remain a pure play domestic operation. With the West shutting down for Christmas and New Year holidays, Singh requires more time to submit his turnaround plan to the aviation ministry. Already convinced that the airline business has crossed the hump in India, with favourable conditions having set in due to much lower crude prices and outlook, Singh is convinced that a fund infusion of `1,200 crore in tranches will revive the beleaguered airline. Singh, an alumnus of IIT-Delhi who has a doctorate from Cornell University, was officer-onspecial duty to Pramod Mahajan during Atal Bihari Vajpayee's governments. His first business venture Argentum Motors, which looked to revive the erstwhile Daewoo Motors' operations in India in conjunction with automobile veteran B.V.R. Subbu, was an abysmal failure. Subsequently, Singh joined hands with Bhupendra Kansagra, the London-based non-resident Indian investor in the nowdefunct ModiLuft. The new operation, rechristened SpiceJet, was a roaring success. Run on a tight budget, the no-frills carrier actually made profit and at the time of sale to Maran had a cash balance of Rs 800 crore. The New Year should see Singh armed with a plan and a clutch of investors ready to fly back into Indian skies. Meanwhile, minister of state for civil aviation Mahesh Sharma informed the Lok Sabha that SpiceJet's dues to foreign and domestic vendors, airport operators and oil companies grew swiftly from Rs 990 crore to Rs 1,230 crore in a matter of 18 days till December 10. "The airline's dues to foreign vendors, including lessors of aircraft and maintenance, repairs and overhaul facilities, rose from Rs 624 crore on November 24 to Rs 670 crore on December 5 and Rs 742 crore on December 10," Sharma replied to a written question. The total number of Spice-Jet aircraft fell from 35 on November 24 to 30 on December 10.